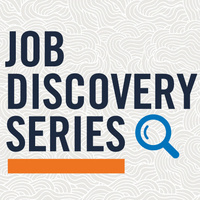 Join the Career Centers Job Discovery Panel to hear from employers that are specifically here to engage with students pursuing these degrees. Take this opportunity to listen to the perspective of professionals that have went to do great things with their background in the Humanities and Social Sciences. As you will someday look to put your degree to work, use this platform to network with professionals that will be talking about the opportunities their industry is hiring for, and gain some career insight from someone that was once in your exact position.